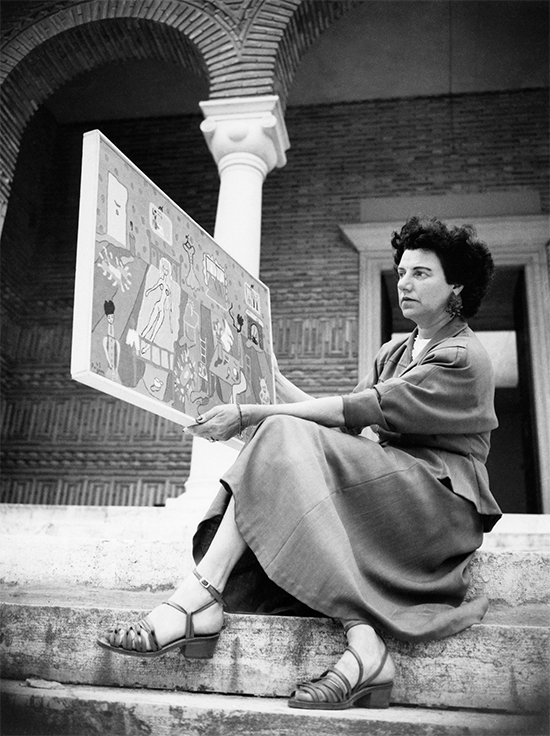 Director Lisa Immordino Vreeland’s engrossing 2015 feature-length documentary account of the life of Peggy Guggenheim conjures an empathetic portrait of a wealthy woman whose aesthetic tastes were ahead of the times and whose support for male artists in particular (especially Jackson Pollock) was significant if sometimes reciprocated with insults and romantic betrayal (Max Ernst). 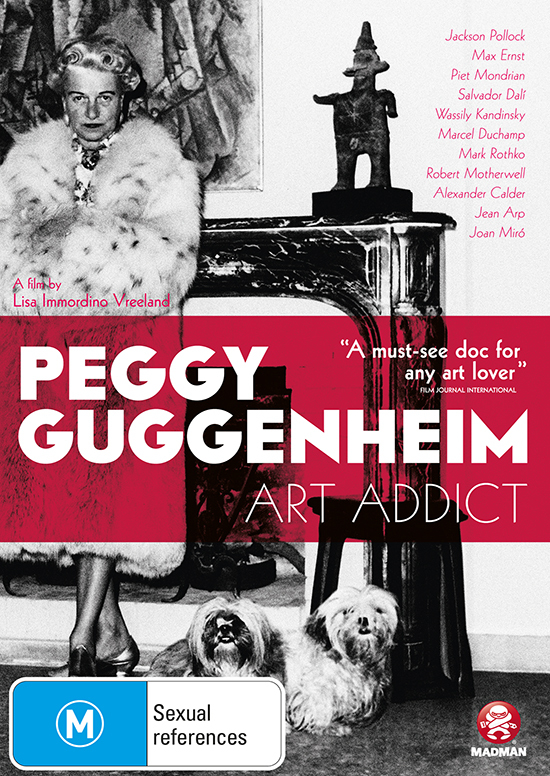 Excellent documentary footage, including of Guggenheim herself—frank, droll—and much of it unfamiliar (Samuel Beckett, James Joyce, Ezra Pound, Gertrude Stein, Paul Bowles, Salvador Dali, Yves Tanguy), finely rounds out the film’s sense of an era. Art Addict screened for months in Sydney as word spread of its finely tuned account of a troubled but sympathetic nurturer of great 20th century art.